Start your new scientific project with our nanotechnology world experts. Understanding your needs and project problems. Choosing lab equipment that fits best for you. Labnonstop is a professional scientific consulting company in applied science and nanotechnology, with advance research and development capabilities, founded by world experts in nanotechnology. In order to solve your scientific startup problems, labnonstop performs custom R&D, uses a wide range of laboratory equipment, offers microfabrication services, uses dedicated nanotechnology lab and expert team knowledge in a variety of consulting fields in applied science and nanotechnology, thus we are creating the success path for our clients. The increasing need of startup companies for research and product development and the search for qualified people who can help them to reach their goals led to a new nanotechnology company to gather a scientific team, laboratory space and scientific equipment to perform customized R&D and provide consultation services. 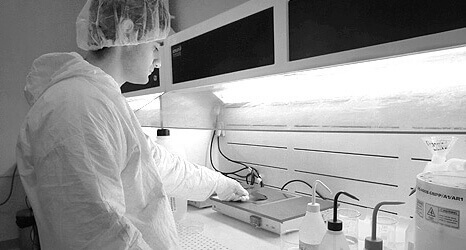 having 25 years of experience and knowledge in a variety of consulting fields in applied science and nanotechnology, allow us to know exactly what our clients need and how to solve their problems, our scientific team gives a high quality services of laboratory guidance, and our technicians help us to conduct the research and prepare all equipment needed, while our clients are fully notified about the whole process. Labnonstop performs research and development on scientific startups and specialized in micro and nano fabrication, elecro analysis and storage, synthetic chemistry, nano materials, physical and chemical analysis, mechanical and laser process, culture Cells, 3D printing.